They may not look nice, but they sure taste great. Monkfish are not pretty. 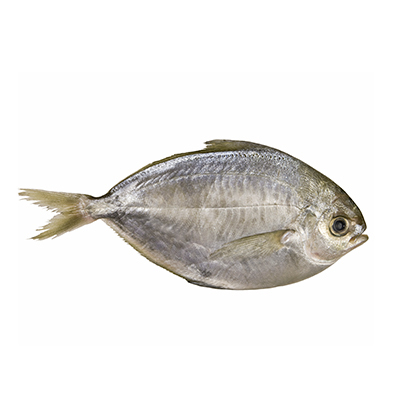 With their needle-sharp teeth and heads that compose most of their bodies, these toad-like fish are more than unappetizing—they’re downright terrifying. 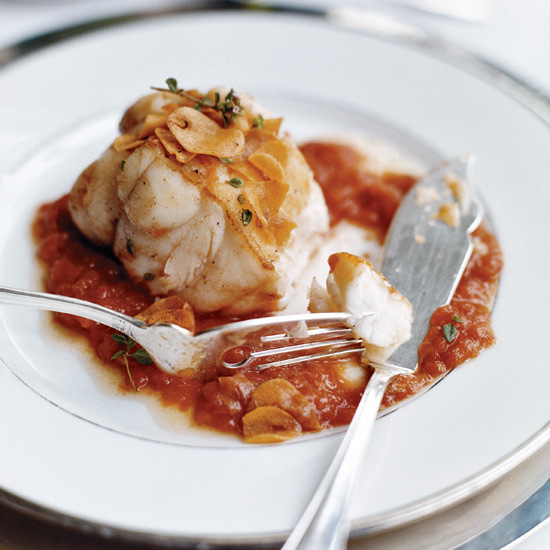 But cleaned and cooked, monkfish become wonderful, with sweet flavor and firm texture that's earned them the nickname of "poor man's lobster." Here are our best recipes for monkfish, the sea's most delicious monster. This dish combines deeply flavorful turnip and miso with delicate monkfish. 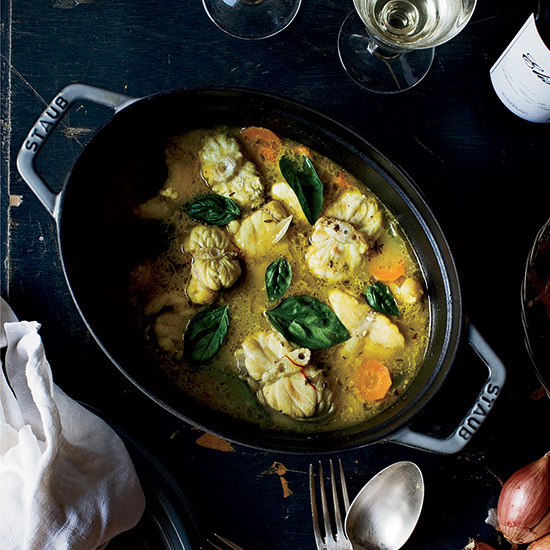 Food blogger and author Mimi Thorisson makes this quick and easy fish stew, flavoring the luscious broth with white wine, saffron and aromatic vegetables. 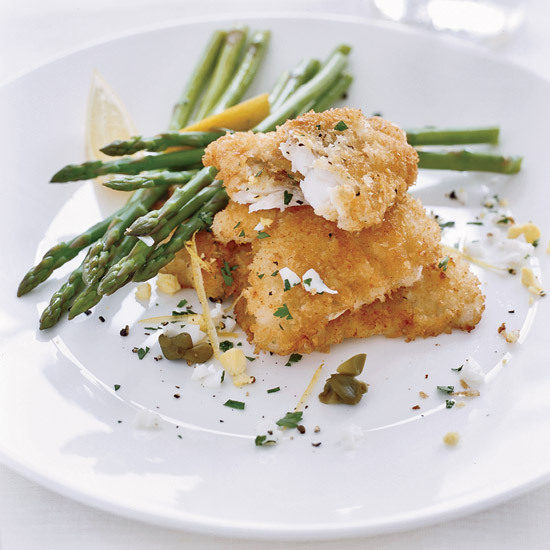 This is Daniel Boulud's seafood take on Wiener schnitzel, a breaded and fried veal cutlet. 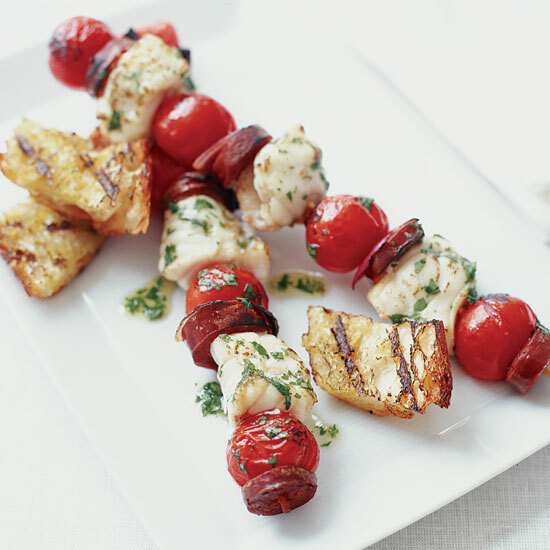 For unusual but delicious kebabs, thread skewers with sweet cherry tomatoes, salty chorizo and sweet monkfish. 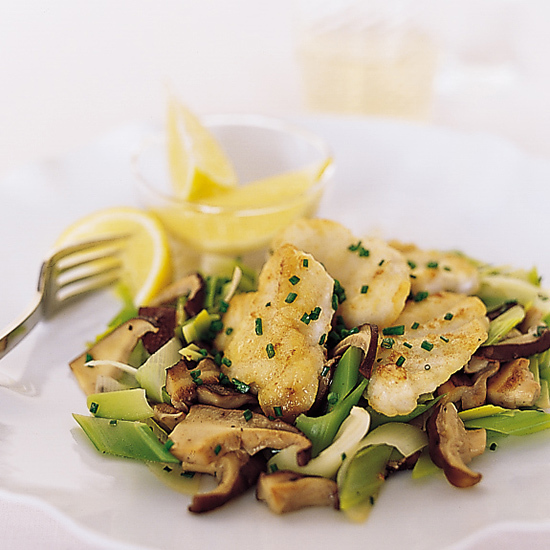 Sweet leeks pair perfectly with mild monkfish. This impressive meal comes together in just 40 minutes.